It’s time to clear some space on your pedalboard—the new BOSS Waza Craft pedals have just been announced! Featuring refined circuit designs and all-analog components, the Waza Craft line provides guitarists the ultimate BOSS tone experience. The debut of this special edition series includes the BD-2W Blues Driver, SD-1W Super Overdrive, and DM-2W Delay. All three pedals deliver the famous sound signatures of the past and present BOSS pedals they’re based on, plus switchable modes for customized tones sought after by serious players. Designed for premium sound by the expert engineering team at BOSS, the Waza Craft series writes a new chapter in the BOSS legacy of exceptional tone and response. With final sound approval carried out by BOSS in Japan, the Waza Craft series brings you superior performance through carefully selected analog components, refined circuitry, and meticulous attention to detail. The literal meaning of the Japanese term “Waza” is very broad and not easily translated into English, but it loosely means “art and technique.” In Japan, Waza is very special—it symbolizes a level of excellence that is only achieved through years of dedication and commitment to one’s craft. BOSS carefully chose the Waza Craft name to capture the enthusiastic spirit of dedication that has gone into the development of these outstanding pedals. Each Waza Craft stomp proudly carries the Waza symbol to represent the artful wisdom and tech-savvy spirit that has always flowed within BOSS design and craftsmanship. All Waza Craft pedals receive final sound inspection in Japan. 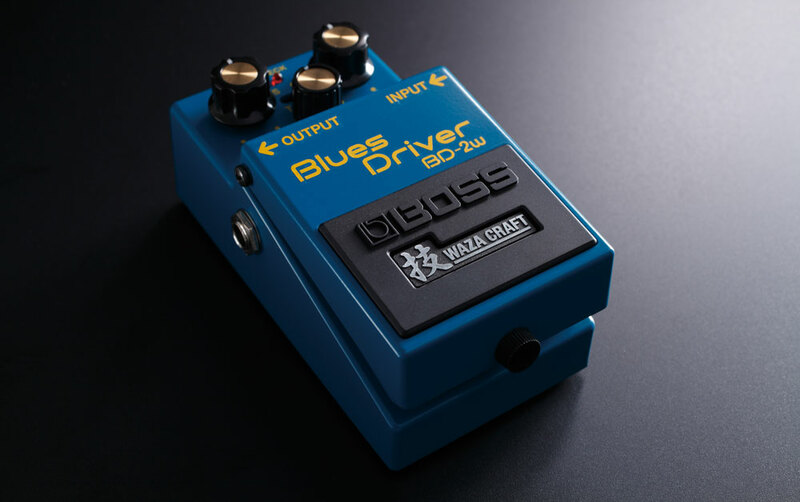 Waza Craft BD-2W Blues Driver. 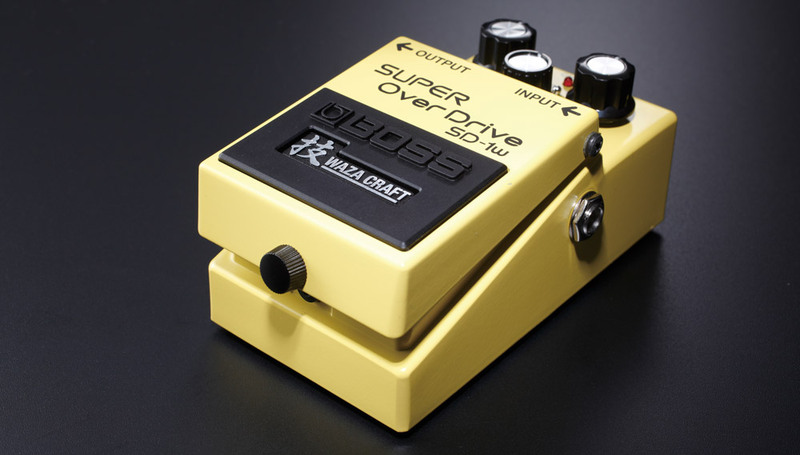 Waza Craft SD-1W Super Overdrive. After 30 years, the famous BOSS DM-2 delay is back in the form of the Waza Craft DM-2W! If you’re a fan of the original DM-2, you probably already know the backstory, and you’re heading to a store now to buy a DM-2W for yourself. If not, read on for a little background about what makes the DM so special. Back in the 1980s, the BOSS DM-2 and its successor, the DM-3, were the state of the art in analog delay pedals. They each used a circuit that incorporated a “bucket brigade device” (BBD) to create their delay sound. The BBD sound was rich and warm; however, due to limitations of this analog technology, it didn’t provide high-fidelity delay repeats, and was limited to just 300 ms of delay time. In contrast, early rackmount digital delay units (such as the popular Roland SDE-3000) had started to appear on the scene, and they offered clearer delay tones with much longer delay times. They were also far more expensive than typical BBD-based compact pedals. In late 1983, BOSS rocked the world with the introduction of the very affordable DD-2, the first digital delay in stompbox form. At the time, this was a huge achievement in guitar technology. The DD-2 was an instant hit, offering clean performance similar to the much pricier rack units. 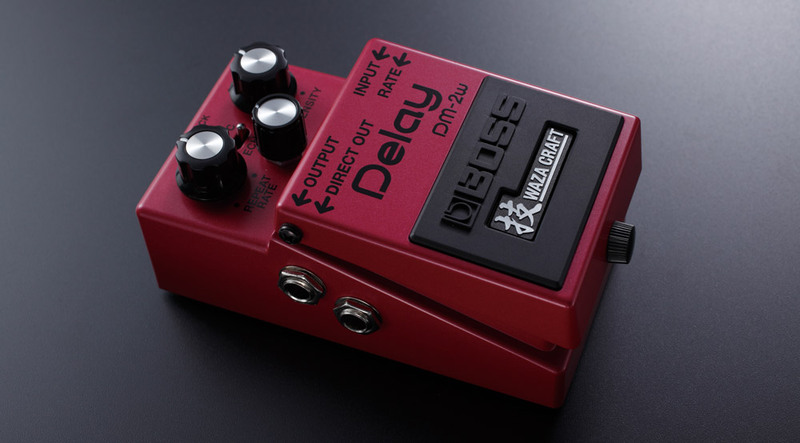 Musical tastes of the day began to favor this cleaner delay sound, and guitarists started to abandon their BBD- and tape-based units for modern digital delays like the DD-2 and its follow-up, the DD-3 (still in production today). This, along with other factors, led to the discontinuation of the DM series by BOSS in 1988. However, a few years after they were discontinued, the glow of new and “better” tech started to wear off a little. Many players began to realize that maybe analog wasn’t so bad after all, and that the softer, lo-fi BBD tone of the DM-2 and DM-3 offered a unique, highly musical sound that was not really obtainable from the cutting-edge digital units. This made these pedals highly sought after in the used market, a trend that continues to this day. Both are very desirable, though the older DM-2 is somewhat more favored for its slightly warmer and “dirtier” tone. 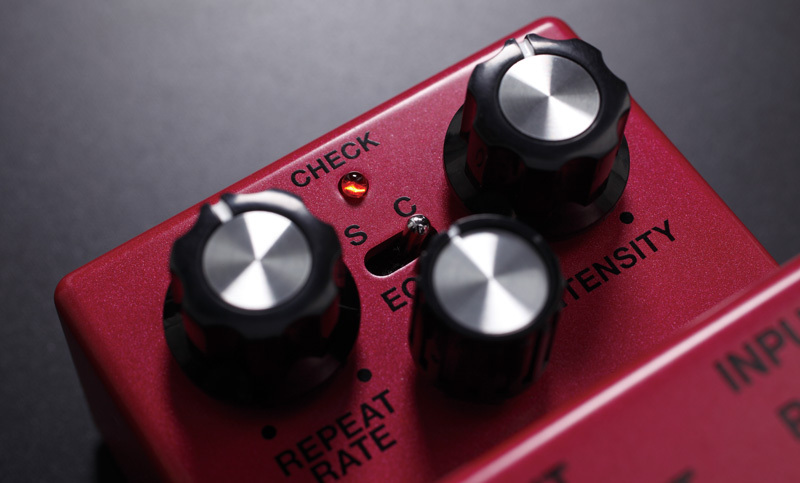 All Waza Craft pedals feature Standard and Custom sound modes. With the Waza Craft DM-2W, the legendary DM stomp has been reborn with two different sound modes and greater versatility for today’s music styles. Using 100-percent analog circuitry and a BBD delay line, Standard mode in the DM-2W perfectly captures the lush, thick tone and 20-300 ms delay range of the original DM-2. Custom mode changes the sound character to a cleaner analog tone with over twice the available delay time. The DM-2W also integrates a cool feature from the DM-3, which is the ability to output the direct and delay sounds separately. This is great for creating spacious stereo effects with two amps on stage or in the studio. (Connecting to just the main output jack by itself blends the dry and delay tones together, with the mix controlled by Echo knob.) The DM-2W also has a jack for connecting an optional expression pedal to control the delay rate, a cool modern feature that was not included in either of the original DM units. To learn more about the incredible new Waza Craft series pedals, visit BossUS.com. Steve Vai has given these a great review during his webinar. Can’t wait to get one.